Pace in the lead pack at the start (6 or so runners) was pretty ferocious. To be expected I guess with it only being an extra few miles on top of marathon distance. 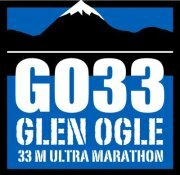 A great race for anyone wanting to try an ultra for the first time especially as the route changes shortened overall distance. I just sat in the lead group until the steep climb at Lochearnhead where some dropped off and 2 others pushed ahead to create the first gap. Lovely view of Loch Earn at the top with the mist clearing, exposing a stunning blue sky. Over the viaduct and towards the top of the hill and the road crossing 3 of us ran with the 2 leaders still in sight. All was well going down the hill almost into Killin where we turned back uphill towards the halfway point. Unfortunately the marshals hadn’t yet put up the signs as they weren’t expecting us apparently. I actually thought for once there were to be no navigational mishaps for me. Think again. At one of the junctions we were shouted back by a runner behind us who legged it away to the left. When the 3 of us turned around and re-grouped he was long gone and it felt like we were going in the wrong direction altogether. Magic. When we got to the next junction near the top of a climb (not actually at the top as the marshal said) we stopped to weigh up the options. For once I was convinced that we had to take the turning. We debated further and then went for it. After a few miles we were all relieved to reach the road again although we’d certainly lost some time and could have all done without the additional stress. You never quite run at the same pace when you’re not convinced you’re heading in the right direction. From there we traded places a few times but pretty much ran as a group. I was well-chuffed with my support who had sorted me out some sunglasses as we headed into the sun (without even asking – full-marks!). With approx. 8 miles to go I decided to push on a little and it was soon down to 2 of us. He was a tough runner, and I just couldn’t shake him on the undulating path. As we hit the road turning towards Balquidder I kicked again up the hill and within a mile was on my own for the first time all day. Through Balquidder I was passed out-of-the-blue by someone I didn’t recognise. Looked like a strong marathon runner who was certainly at home on the roads. That was it really, 3 or 4 miles of hilly B roads and I was back at the start in about 3hrs 42m in 5th place. 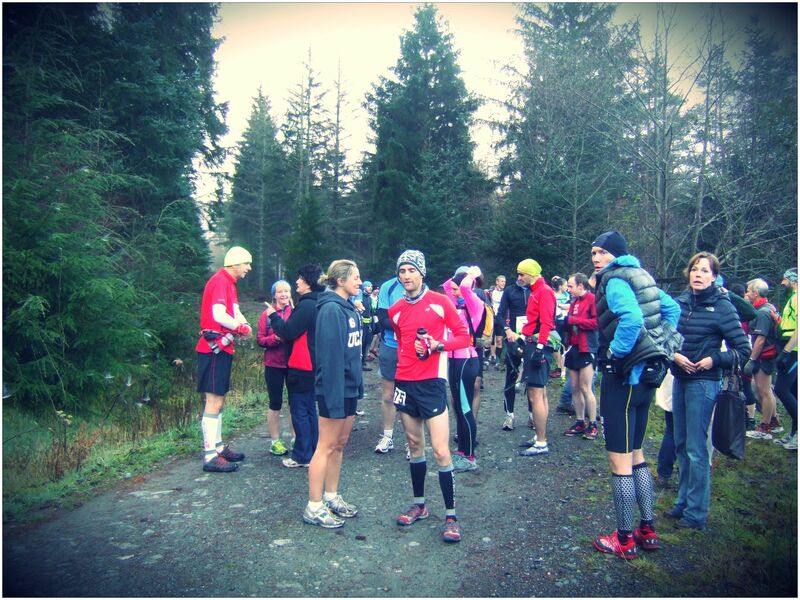 A decent morning run in the company of some very quick people. The friendly ultra ‘crew’ were out in force and it was a really good atmosphere all round. Nice to see a lot of familiar faces. I even had some additional unexpected support at the end which really made me smile. My support were flawless as usual. Not a single moan despite the very early start and the 2 or 3 words I shared with them throughout the race. That’s the 7th ultra of the year since March, and after more than a few peak training weeks I did generally feel pretty tired. Slightly disappointed. Maybe time to rest a little…. This entry was posted on November 9, 2011 by pyllon. 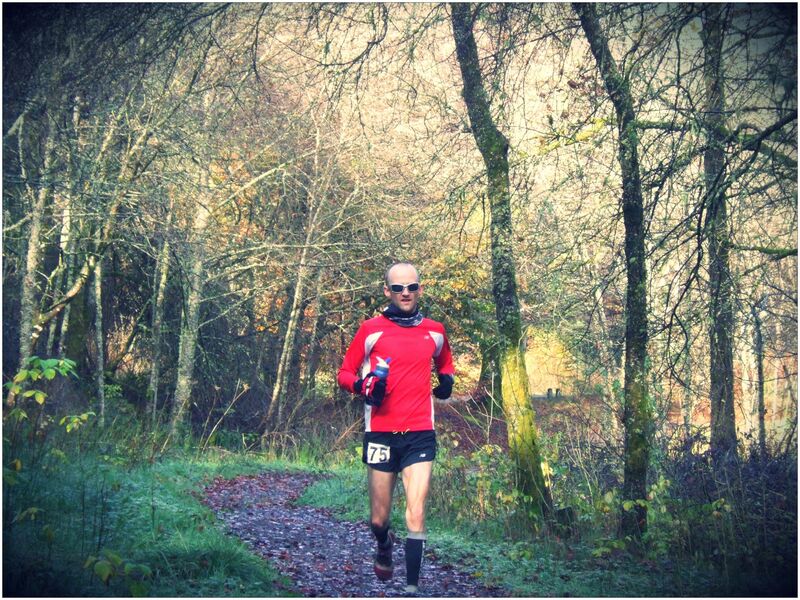 It was filed under 2011, Barefoot, Glen Ogle, GO33, Race, Results, Trail, Ultra, ultramarathon and was tagged with 2011, Barefoot, Glen Ogle, GO33, Paul Giblin, race, results, trail, ultra marathon. Excellent … run man run , nobody rips along like Pyllon can !!! Thanks a lot Murdo. I guess the navigation bit is all part of the ultra package! Congrats on another great run. I can’t wait to see what you are going to do next year!